There's really not much to say beyond that. If you have any exposure to pop culture, you know what these books and movies are about. This falls right in line with your expectations. That certainly doesn't mean you should skip it. 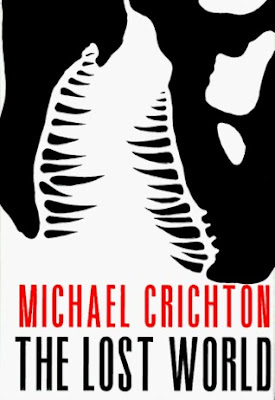 I really enjoyed the book, despite the fact I chose the absolute wrong cliff hanger to set it down and go to sleep, resulting in some unpleasant dinosaur dreams. "They [the kids] could still actually use their brains, which in Thorne's view was a sure sign they hadn't yet completed a formal education." "I think cyberspace means the end of our species. ...It means the end of innovation. ...This idea that the whole world is wired together is mass death. Every biologist knows that small groups in isolation evolve fastest. You put a thousand birds on an ocean island and they'll evolve very fast. You put ten thousand birds on a big continent, and their evolution slows down. Now, for our own species, evolution occurs mostly through our behavior. We innovate new behavior to adapt. And everybody on earth knows that innovation only occurs in small groups. Put three people on a committee and they may get something done. Ten people, and it gets harder. Thirty people, and nothing happens. Thirty million, it becomes impossible. That's the effect of mass media - it keeps anything from happening. Mass media swamps diversity. It makes every place the same. Bangkok or Tokyo or London: there's a McDonald's on one corner, a Benetton on another, a Gap across the street. Regional differences vanish. All differences vanish. In a mass-media world, there's less of everything except the top ten books, records, movies, ideas. People worry about losing species diversity in the rain forest. But what about intellectual diversity - our most necessary resource? That's disappearing faster than trees. But we haven't figured that out, so not we're planning to put five billion people together in cyberspace. And it'll freeze the entire species. Everything will stop dead in its tracks. Everyone will think the same thing at the same time. Global uniformity." A Reduced Review: Everything you want and expect from a Jurassic Park novel.